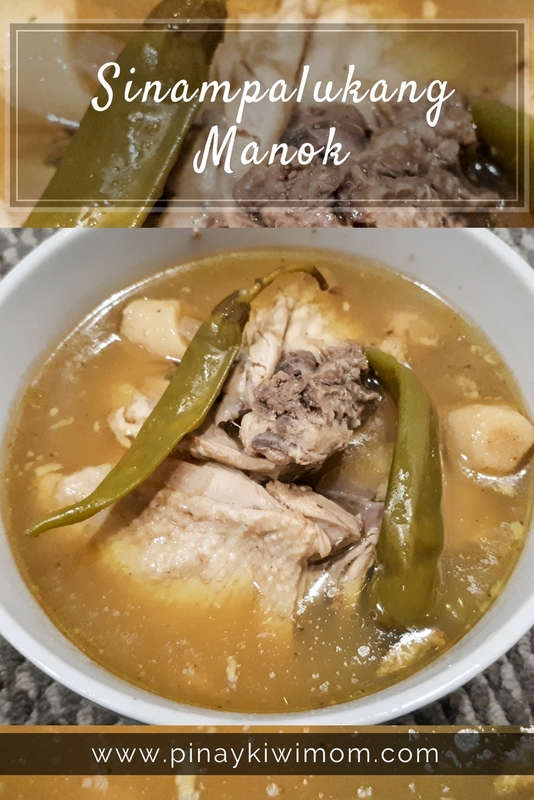 Sinampalukang Manok is a famous Filipino chicken sour soup dish and one of Filipino's favorite dish because of its savory taste. The original recipe asks for tamarind leaves but since I couldn't find one in my place, made use of tamarind flower buds. It provides a mildly sour taste, which I think is the same when tamarind leaves are used. This recipe is best served on rainy days. Heat cooking pot and then sear chicken. Continue to cook until most of the chicken fat are extracted. Remove chicken from the pot. Set aside. Once onion becomes soft, add chicken back to the pot. Pour water. Let it boil. Seal tamarind flower buds in a cheesecloth and tie using a kitchen twine. Add cheese cloth with tamarind flower buds in the pot. Stir. Add chicken cube and long green pepper. Cover pot. Cook in medium heat until the chicken gets tender. Remove tamarind flower buds. Add singing mix. Stir.